CARA’s annual Constructors’ Exhibition took place on 21st March, a meeting where members show items they’ve built at home during the last year or two. We were treated to a very interesting range of exhibits many of which were constructed to a high standard. A partially complete LV and HV power supply for vintage ex-military equipment such as the BC-348 receiver and the Collins ART-13 transmitter – shown by Tony G3YYH. 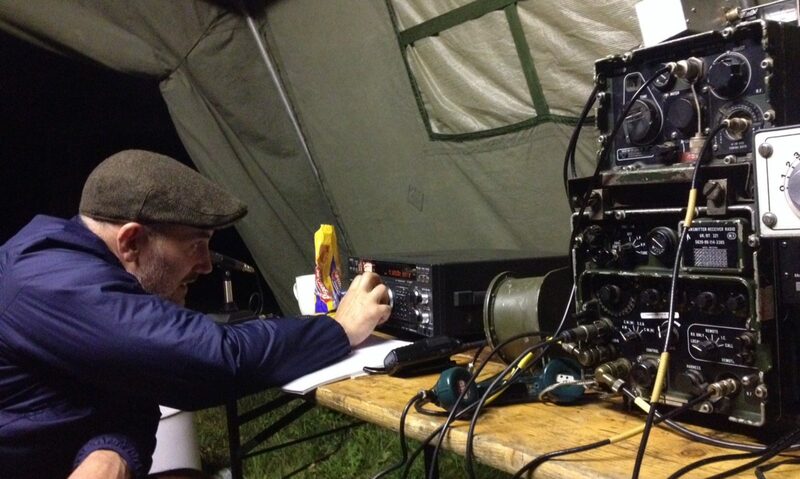 A QRP Labs QCX 5W CW transceiver for 40m built from a kit (some 6,000 such kits have now been sold) – Peter G4IOA. A range of products, including antenna insulators and small cases, produced by his 3D printer – Alan M0NRO. A portable power unit with solar panel for use with an IC-706 HF/VHF transceiver – Christopher M0YNG. A components tester which tests and measures transistors as well as resistors, capacitors and inductors, assembled from a kit – Derek G3NKS. A CFR (Controller Feeder Radiation) half-wave vertical dipole for 2m for use with his motor-caravan – Derek G3NKS. 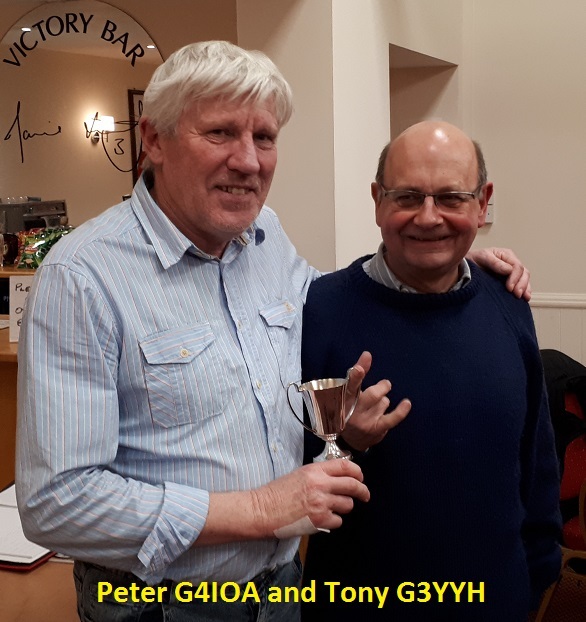 The Bill Brown Cup for Best in Show to Peter G4IOA for his superbly built QRP Labs kit transceiver. The Pat Moore G3IKR Memorial Cup for Innovative Construction to Christopher M0YNG for his novel portable power unit. The Roger Kendall G0UPU Memorial Cup for best Computer/Software related Project to Alan M0NRO for his 3D printer project. Many thanks to all the exhibitors, the judges and everyone else who attended, we had an enjoyable and successful evening.